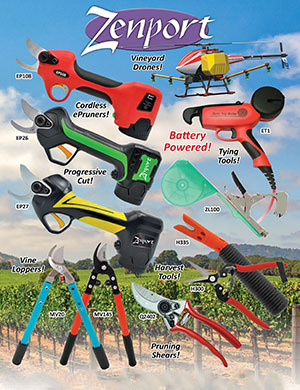 Zenport Shears H302SC curved, long, serrated edge, stainless steel blades to resist rust and corrosion, making them excellent for vineyard grape harvesting, thinning and floral applications. Long handles, with comfortable, non-slip grips, provide excellent control and leverage. Spring loaded action automatically opens blades after each cut; blades lock closed when not in use. Overall length of 7.25-inches (184mm). Overall length of 7.25-inches (184mm).